Use the shell membrane as a bandage. It helps to heal cuts and scratches. There are over 27 MORE interesting uses listed. It’s a really interesting article that may help you to look at egg shells in a new way. 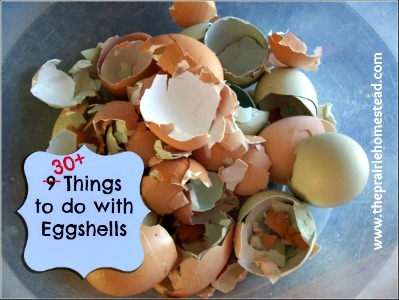 To read more click on the 30+ Things to Do with Eggshells link below.